OK, so I haven’t found some sleepy, quaint fishing town totally unspoilt by tourism. But this is a lovely little resort resting quietly among some of the big hitters. Just down the road is Albufeira which welcomes the neon-bedecked permatans dancing to dodgy dance music and whooping at the lasers. As I’m now the wrong side of 40 (or is it the right side? I change my mind daily), I wasn’t looking for a holiday spent dancing til dawn under flashing lights. Thankfully, Armacao de Pera caters mainly for Portuguese families and tourists. There are a lot of apartment blocks but it stays the right side of concrete jungle, and the vibe is so chilled that even a crowd situation on the promenade (every night after 10pm) appears friendly and relaxed. My parents and I were after nothing more than a few days in the sun – which is exactly what we got. 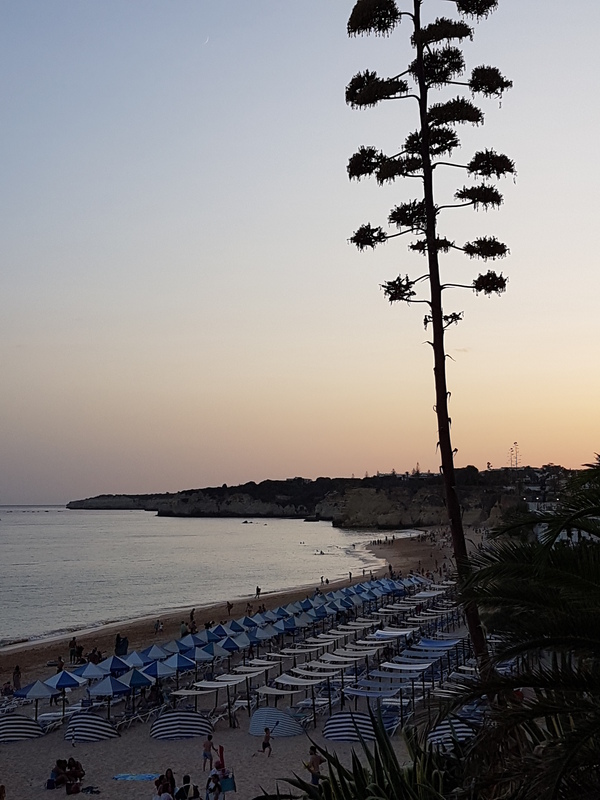 The beaches are coves and dominated by traders looking to rent their sunbeds, but it’s worth parting with cash for one as the sun can be relentless. Most people buy big throws from beach-sellers and make dens to provide shade in the middle of the day. You must stand up to the sunbed mob, though, which doesn’t always sit well with us Brits. And the sellers will try and split people up for some inexplicable reason, even on days when they’ve only managed to sell half their sunbeds. We weren’t having this and, miraculously, after a few death stares from my mother, they found three beds together. The same incident happened with another family so my advice is to stand your ground. The sea is the Atlantic which means there can be some strong waves, much to the shock of a lady in front of us who, if it hadn’t been for her friend’s quick-thinking, would have watched her bikini bottoms carried off to Casablanca. 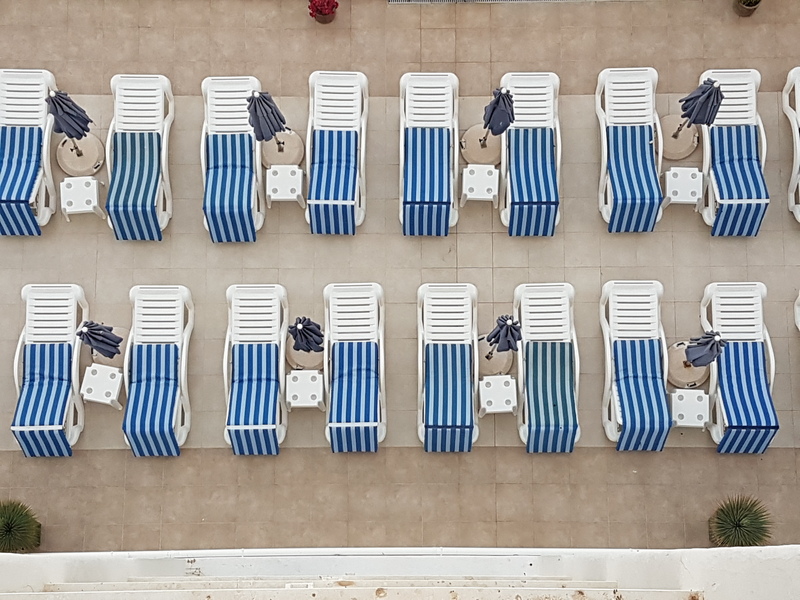 If lying in the sunshine and reading a book isn’t your thing, there are loads of activities such as hopping on a banana boat, fancy pedalos with slides, jet skis and even crazy sofas – all of which I stayed clear of because lying in the sun and reading a book is my idea of a good time. In terms of restaurants, the choices are ace. We stayed on the east side of the promenade and found some real gems. Walking further down towards the funfair though, the standard seemed to drop, with burger joints and cafes replacing the decent places, but there are some brilliant ice cream parlours so you won’t die of hunger. The best place we ate was the Restaurante Clipper, so good we went twice. On the second night, I had Pork Escalopes Ancienne Style – oh my. It was akin to a mix of pepper sauce and a Diane sauce. Another eatery worth noting is the Restaurante A Santola. 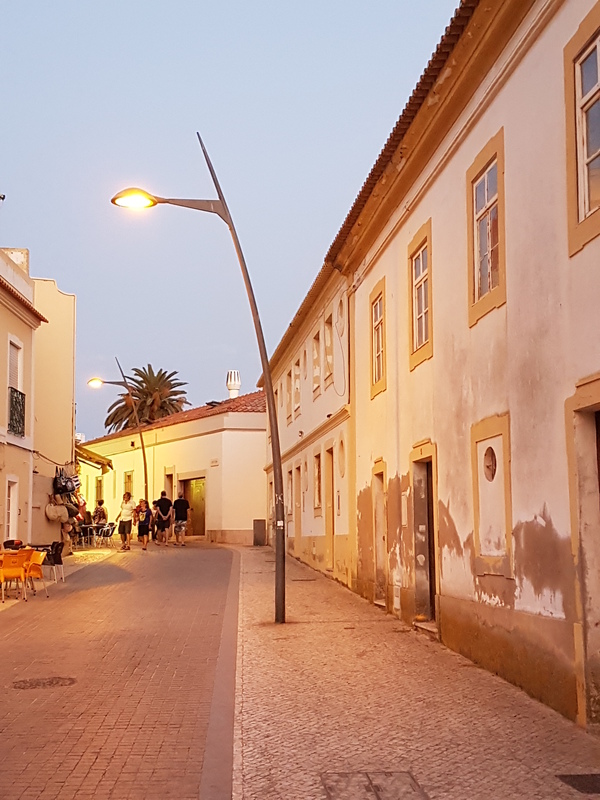 This is a little further down and has a small balcony right on the beach so you can watch the sunset while dining on fabulous swordfish with a glass or two of the local Vinho Verde. 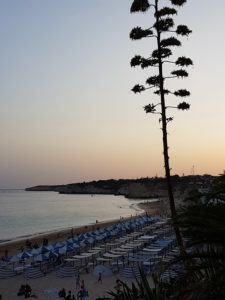 We stayed at the Holiday Inn Algarve, located a few steps down to the beach. While there aren’t many hotels in this resort (most of the accommodation is comprised of apartment buildings), this one was is a winner. As it’s above the beach on the top of the cliff, there are multiple views out to sea. The pool is also a decent size and, considering it was the school holiday, was never overfilled. 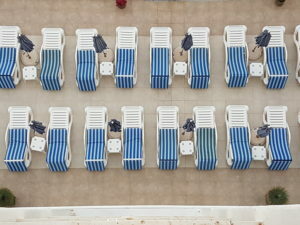 But beware – on our last day we ate breakfast at 6.30am and I counted 12 towels on sunbeds. It’s far easier to base yourself on the beach and nip up the stairs for a dip in the pool than do battle with these evil geniuses. As it’s a Holiday Inn, you know the rooms are going to be clean and comfy with all the usual stuff – fridge, TV (with BBC, ITV and Channel 4), unfathomable light switches, modern safe, and hot drink facilities – but no iron so I just went out creased. Who cares really? As I said, the main mission was to relax in the sun so I can’t report back on much else. But I noted that, for those less lazy, there is a selection of activities, including Aqualand Water Park, Jeep safaris, a treetop adventure park and various other tours. It was a simple break and Armacao de Pera served us well. I’d definitely go back.